Jeff Bolton showed interest in music and singing at an early age. 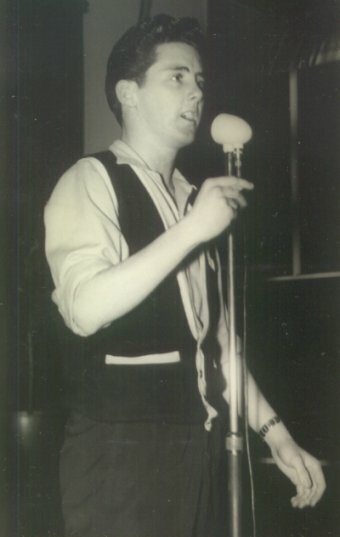 In the mid fifties he was the front man for a group that performed at school, as can be seen from the photo below, taken during a school concert. 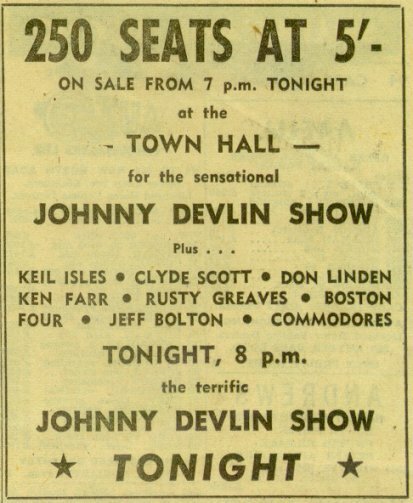 He was strongly influenced by Elvis Presley and local star of the day, Johnny Devlin. 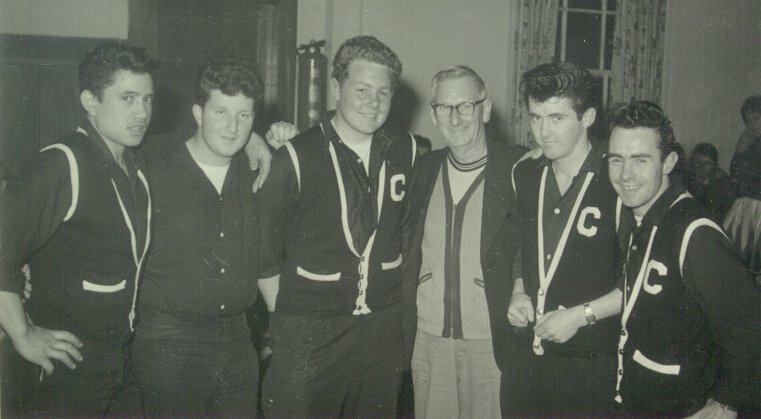 Below is a photo of Jeff, far right, taken along with some school mates, with Johnny Devlin. 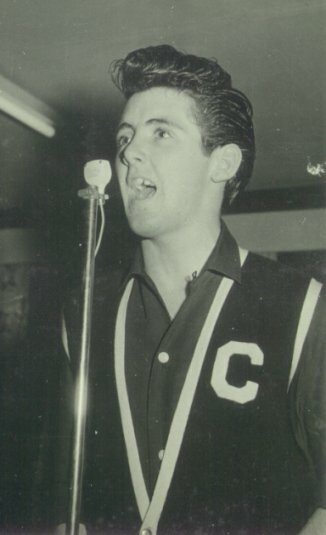 On leaving school, Jeff joined a group called the Commodores in 1959. 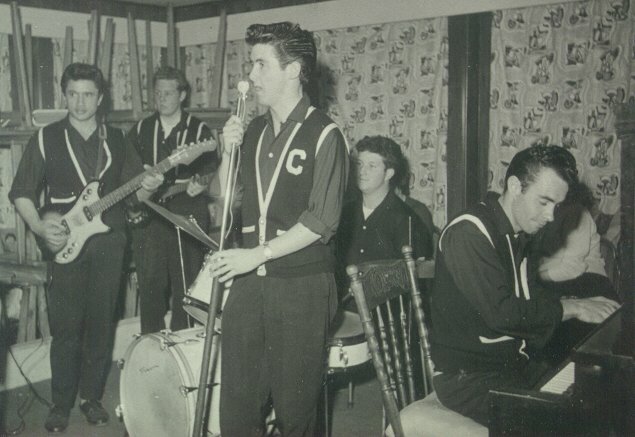 The original line-up featured Bob Wynyard on lead guitar, Bill Belton on rhythm guitar, (Larry) Tiger Purdy on drums, and Dave Smith on piano, with Jeff Bolton on vocals. 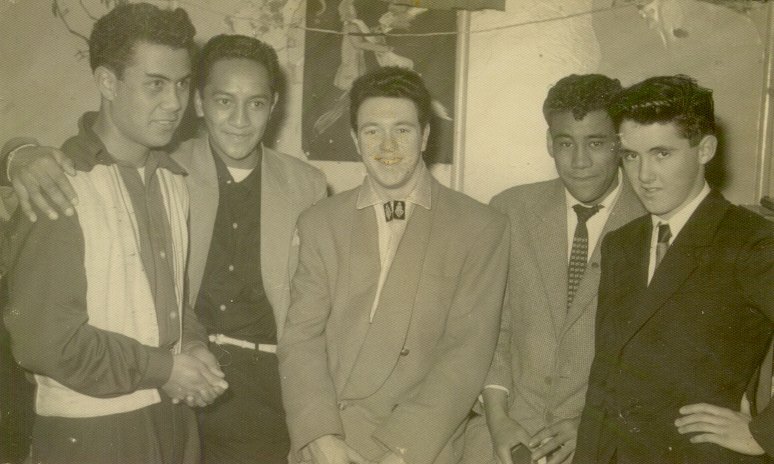 When Bob Wynyard left the group, he was replaced by Sonny Manihera. 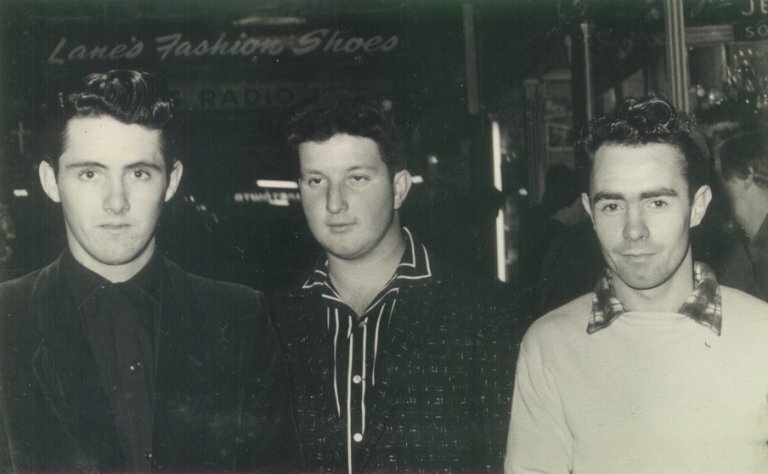 The Commodores were based in Ponsonby and were very popular at many dance halls and youth clubs in the Auckland area from 1959 to 1961. They recorded a few demos, but unfortunately none were ever released. The Commodores were an important starting point for each of the members of the group. 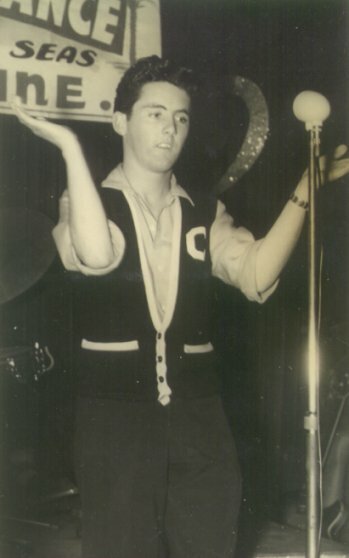 Bob Wynyard went on to join Sonny Day and the Sundowners and then went to the Soundells. Jeff Bolton joined the Al Paget Sextet. 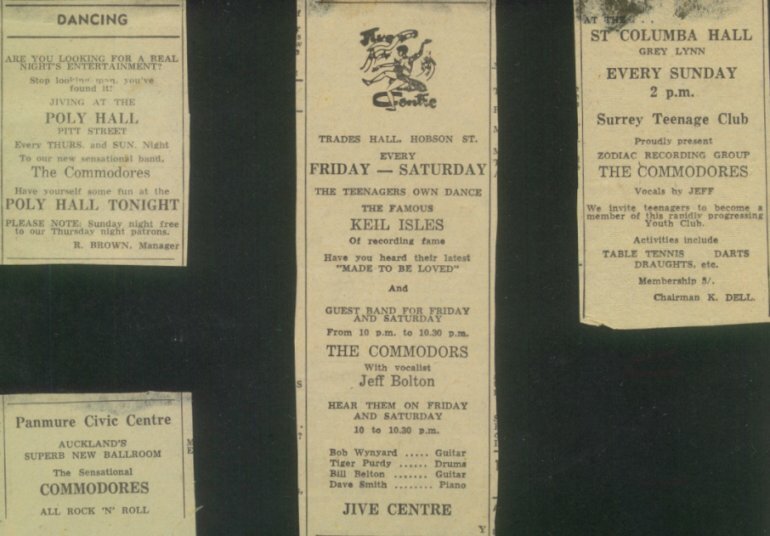 Bill Belton went to Freddie Keil and the Kavaliers, Wanderers, Bob D Five, Newsounds, Ray Woolf and the Avengers, and then Trinity. 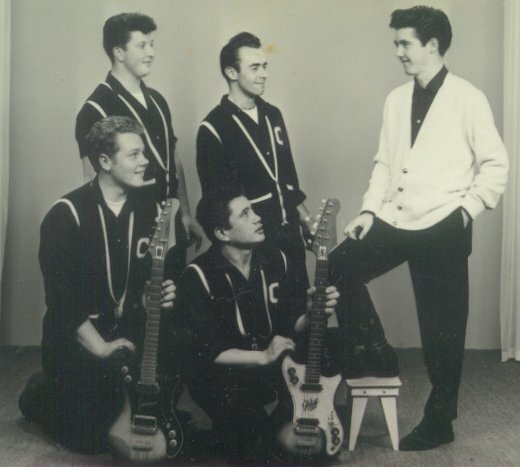 Dave Smith also went to Freddie Keil and the Kavaliers.